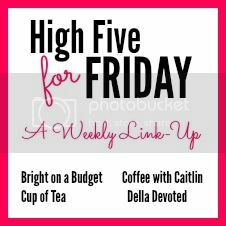 After a month away, today we return to our regularly-scheduled High Five for Friday posts! 3. For the first time in my entire life, I hired someone to clean my house. Actually I chose a company (rather than an individual), and set up an appointment for the employees to come in and clean from top to bottom one day prior to our return home. Regular readers might recall that during the summer months the kids and I spend quite a bit of time up north while Tom remains at home to work. During our absence he lives the bachelor life in our house, and while I appreciate his efforts to tidy and clean before I walk back through the door, the house is just never where I want/need it to be. This plan cost me a fair amount of money, but coming home to a freshly vacuumed, dusted, mopped, and wiped house was worth every one of those pennies. 5. As soon as we returned to Texas we hit the ground running. The last two weeks have included a swimming birthday party, quite a few trips to the pool, multiple play dates, a sleepover, a piano tuning, an orthodontist appointment, Bengal Belle dance camp, a soccer tournament, a lengthy and complicated work assignment, hours of PTO planning and meetings, and tons of paperwork, errands, and school supply shopping in preparation for the new school year. 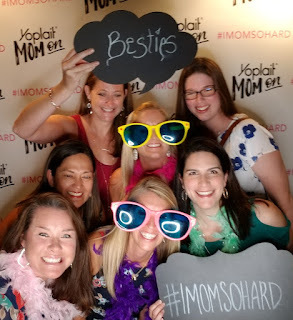 I also enjoyed two day-long excursions: one with friends to see IMOMSOHARD in Houston and one with the fam to Schlitterbahn in New Braunfels. (As both trips were on my bucket list, they'll each receive their own post in the coming month.) August is typically one of our busiest months of the year, and this August is no exception - cheers to keeping our heads afloat! and other activities - all to ourselves was incredible! Play date treat from the new Bahama Buck's! year dancing together at Bengal Belle camp! And we always need a pic with their big girl besties as well. Hallie and her Big Belle, Lacey. 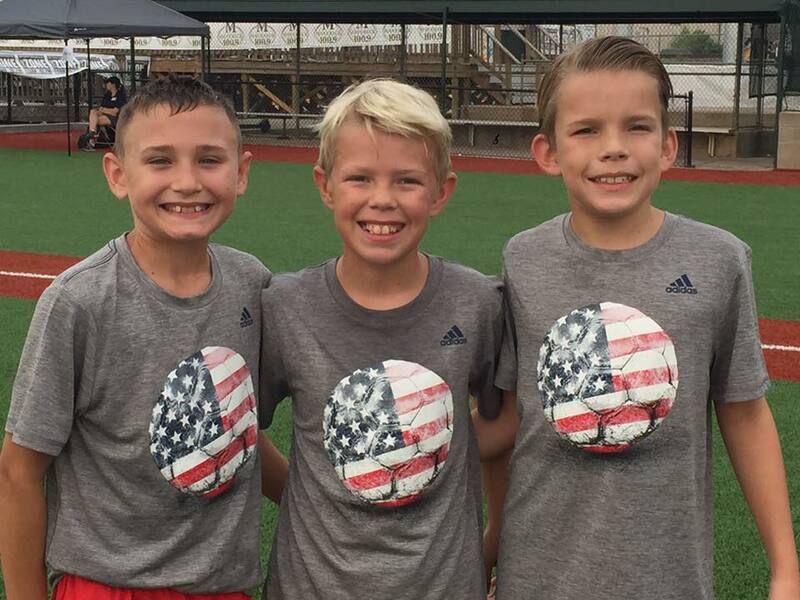 Brody, Will, and Aaron at the Cavalry 3 vs. 3 soccer tournament. Mom besties at IMOMSOHARD - best show ever!